A few weeks ago Riot Games revealed the latest champion to enter Summoner’s Rift, Azir. Reading about his abilities gave me the impression that Azir would be an easy, crazy farming machine that was able to push lanes with his own towers. Easy wins, right? Well, Azir looks anything but easy to play. I wouldn’t go as far to say that he’s League of Legends’ most complex champion, but he’s definitely not looking like a walk in the park. Azir thrives of the life of his minions that he can summon from the start of the game. These minions attack when Azir attacks, providing vision as well. 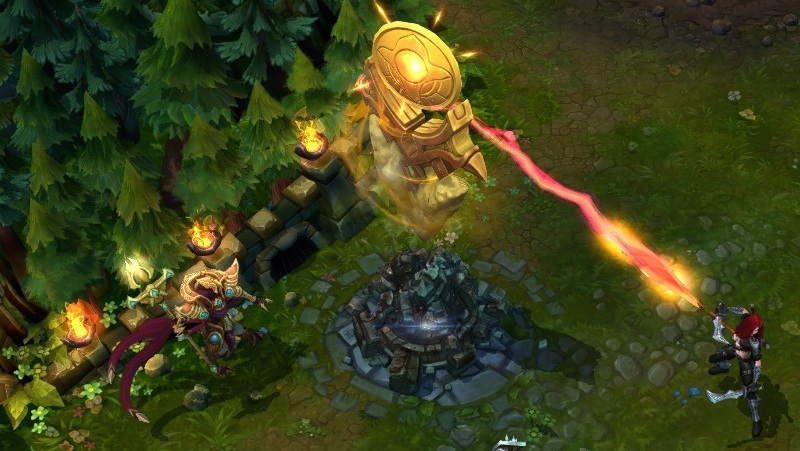 Azir can also use other abilities to propel his minions forward to slow enemies, or dash to them to escape enemy ganks. Azir almost comes off as completely passive, with his minions providing him with a greater attack range and relative safety. Your role shifts from doing direct damage to banging the enemy into the range of your minions. It also allows Azir to harass enemies trying to farm in lane, to the point where I’d probably start throwing things at walls. Azir also has an ultimate that can break up team fights or completely isolate players. A wall of soldiers prevents enemies from passing through, but allows allies to pass. Allies also get a movement speed buff when they do, which refreshes each time they walk through. But what sets Azir apart from most champions is his dual passive abilities. The first increases Azir’s attack speed based on his current cool down reduction. That means more minions more of the time, which benefit from Azir’s base attack speed anyway. The other, which is far less passive, builds a new turret on destroyed ones. This turret lasts for a minute and can farm a ton of gold for Azir, although he has to stay close to it to keep it really effective. From the Champion Spotlight, you can see Azir’s massive reliance on cleaver positioning and passively attacking the enemy in a way. Firing off abilities quickly and precisely is also key, but that could really be said for most champions. Azir is available now in the League of Legends store, so expect him to be in nearly every game for the next few days.